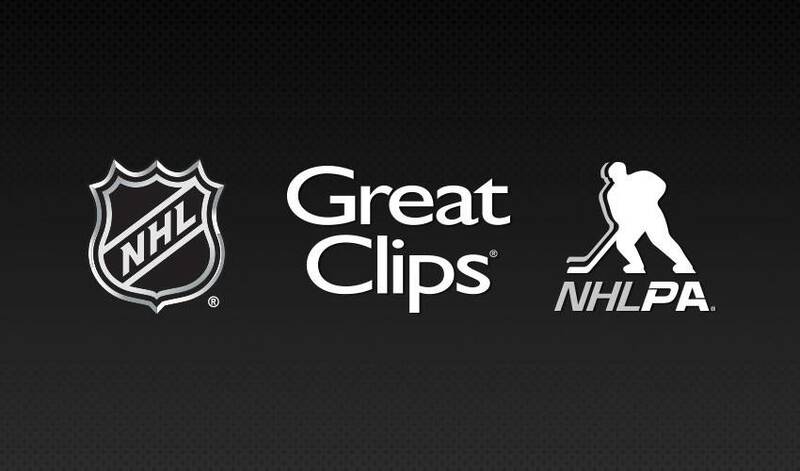 NEW YORK / TORONTO / MINNEAPOLIS (April 11, 2019) – Great Clips, Inc., the world’s largest salon brand, the National Hockey League Players’ Association (NHLPA) and the National Hockey League (NHL) today announced a new multiyear partnership. Through the partnership, Great Clips® will become the Official Hair Salon of the NHL®, while receiving brand exposure during all U.S. and Canada Stanley Cup® Playoff game broadcasts as well as at tentpole NHL events, including NHL All-Star Weekend, NHL Winter Classic®, NHL Stadium Series™ and the NHL Gaming World Championship™. Great Clips, Inc. was established in 1982 in Minneapolis. Today, Great Clips has 4,396 salons throughout the United States and Canada, making it the world’s largest salon brand. Great Clips is 100 percent franchised, and salons are owned locally by more than 1,200 franchisees across North America. Great Clips franchisees employ nearly 40,000 stylists who receive ongoing training to learn the Great Clips customer care system and advanced technical skills. As a walk-in salon, Great Clips provides value-priced, high-quality haircare for men, women and children. Getting a great haircut at Great Clips is more convenient than ever with Online Check-In and Clip Notes®. To check-in online, visit GreatClips.com or download the free app for Android and iPhone. For more information about Great Clips, Inc. or to find a location near you, visit GreatClips.com.